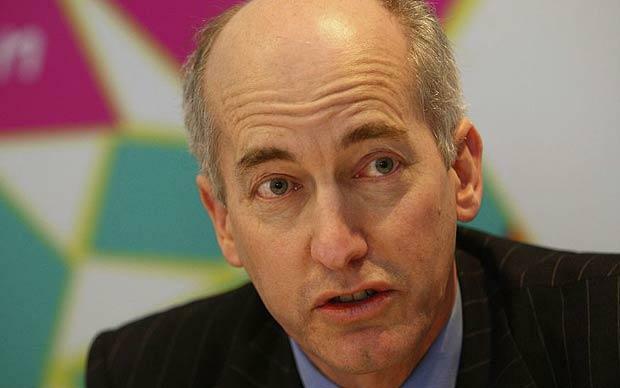 Sir David Higgins, who was formerly chief executive of the London 2012 Olympic Delivery Authority, today took up his new role as Chairman of HS2, the embattled high-speed railway project. Sir David was straight off the blocks pointing out what I believe to be the biggest benefit of HS2 of them all: removing the crush of people and jobs from London and distributing them into the Midlands and North of England, which in turn could make housing in London and the South East affordable to ordinary workers. Are the majority of business and jobs centred around Washington in the US, in Berlin in Germany or even in Paris, France, for that matter? As I said two years ago, the modern-day luddites disguise their selfishness by playing the green card and harping on about the environmental benefits. It always make me laugh when people say this country is already concreted over with housing and roads: it is not. The vast majority of England is still fields and forests (just look out the window when you fly into any London airport). A new, relatively narrow, infrastructure corridor really is not going to make much difference to the landscape in the grand scheme of things. The French embassy lost their rag today after City AM reporter Allister Heath penned a piece about France’s “failed socialist experiment” – but they did have a point when the embassy criticised our poor rail infrastructure. This is extremely noticeable as soon as you exit the Channel Tunnel into France on the Eurostar where high-speed railway is commonplace there and elsewhere on the Continent. The UK only has one stretch of high-speed line (HS1) used by the Eurostar to get you out of the UK from St Pancras to the Channel Tunnel entrance in Folkestone. The UK has a clapped out railway with trains full to bursting point with every gangway filled with bodies as they arrive and leave London each morning and evening to take the masses to and from the majority of well-paid jobs. For a country who invented the railway, it is a sorry state of affairs. Whilst the project is being designed and implemented, it will create 10,000 jobs, developing skills in engineering and project management which will serve the country well for decades more after the line is completed. Yes, there are a lot of ifs. No one can fully predict the future. But did the Victorians say we don’t need railway lines, the canals will do just fine? Did us Brits say in the 1950s we don’t need these new fangled motorways, we don’t mind it taking two days to get from A to B through the country lanes? Well, I am sure a lot did. But wiser heads and leadership thankfully prevailed. Sir David isn’t a man to take “no” for an answer and his perseverance helped delivered the best Olympic Games in history. Let’s hope his leadership and energy now helps Britain out of its lopsided economy. 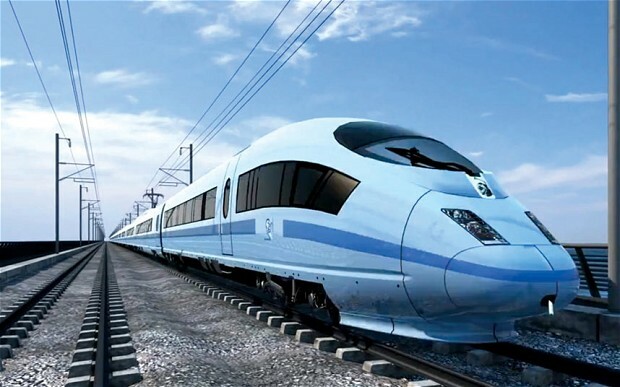 I predict HS2 will deliver the benefits it predicts and more. 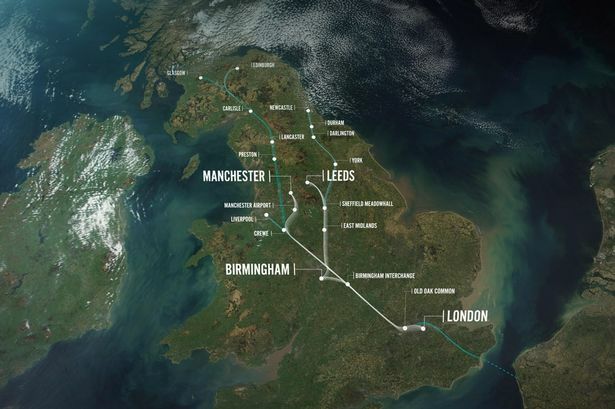 Let’s show some more bottle as our ancestors did and get behind HS2 to fire up the former industrial revolution powerhouses in the Midlands and the North of England once again. Categories: Politics | Tags: HS2, Sir David Higgins | Permalink.